The Board of Directors represents a wide range of environmental organizations and businesses, they promote outdoor education, natural resource issues, and sustainable Green Schools through a network of organizations and institutions from across the state. Melissa Acuti is currently the Maryland Park Service’s Statewide Interpretive Manager and works out of the Annapolis Headquaters Office. Melissa has been with the Maryland Department of Natural Resources- Maryland Park Service since 2010 and worked as a Park Ranger and Assistant Park Manager at Point Lookout State Park and as the Conservation Corps Program Coordinator before taking her current position. Melissa was also previously employed by Carroll County Recreation and Parks as the Park Manager of Hashawha Environmental Center and a Park Naturalist at Bear Branch Nature Center. Melissa also worked as a teacher at the Carroll County Outdoor School. Melissa has her Bachelor’s Degree in Biology from St. Mary’s College of Maryland and her Master’s Degree in Environmental Biology from Hood College. Melissa currently lives in Edgewater and in her spare time enjoys bird-watching, gardening (with native plants), kayaking and sailing the Chesapeake with her husband. In addition, each fall Melissa tags migratory Monarch butterflies and helps run an owl banding station for migratory Northern Saw-whet Owls. Melissa has attended almost every MAEOE conference since 2000 and especially enjoys the networking opportunities and feeling of re-invigoration that follows each conference. Over the past two years, Melissa has assisted with the MAEOE Auction at the Conference. This past year, Melissa also attended the MAEOE Youth Summit at Sandy Point State Park. Melissa’s many connections with the state parks and park staff will benefit MAEOE as much as MAEOE will benefit Maryland’s State Parks. As Director of Conservation Community Engagement, I work collaboratively with community residents and stakeholders to develop relatable environmental programs and projects which meet the needs of the community, and ultimately facilitating and implementing these efforts, directly where people are, within their communities. One of the programs that I coordinate is our Urban Conservation & Education Summer Internship Program, designed to provide opportunities for local Baltimore college students to experience environmental stewardship and to expose students to career options in the conservation sector. Additionally, through my involvement in the EPA Chesapeake Bay Program’s Diversity Workgroup as well as the State of Maryland’s Project Green Classrooms, we frequently discuss career pathways and pipelines within the environmental field, especially through a diversity, equity and inclusion lens, in order to ensure that students not only have opportunities for entry into the field but for matriculation as well. I have a Bachelor of Science degree in Environmental Science and Policy, Wildlife Ecology and Management concentration, from the University of Maryland, College Park and a Master of Science degree in Wildlife Conservation from the University of Delaware. I have over 10 years of experiences in environmental education and community engagement, through naturalist positions with the Maryland National Capital Park and Planning Commission (MNCPPC) and Delaware Nature Society respectively. Jeremiah has been a member of the Maryland bar since December 2006. His commitment to public service has led him to the Womens Law Center and the YWCA Annapolis where he has participated as an attorney in the Reduced Fee Custody Project. He is also a member of Civil Justice, Inc., an organization dedicated to providing legal services to people who might not otherwise be able to afford it. As a former Air Force brat, Jeremiah understands the military lifestyle first-hand. Prior to starting the Chiappelli Law Firm, LLC, Jeremiah was privileged to apprentice with The Law Offices of Alan S. Forman, LLC, Walsh and Company, PA, and Gary Greenwald, PC. Before settling into a legal career, Jeremiah enjoyed a brief Hollywood career as a background actor and production assistant. If you ask him, he will be more than happy to share the highlights. As part of his commitment to public service, Jeremiah ran for state delegate for Maryland District 31 in 2010. Lee is a lifelong resident of Maryland and lover of all the natural beauty found in this America in Miniature. This love of the outdoors and dedication to preserving it has infused his work as a counselor, teacher, and administrator in Montgomery County for over 25 years. 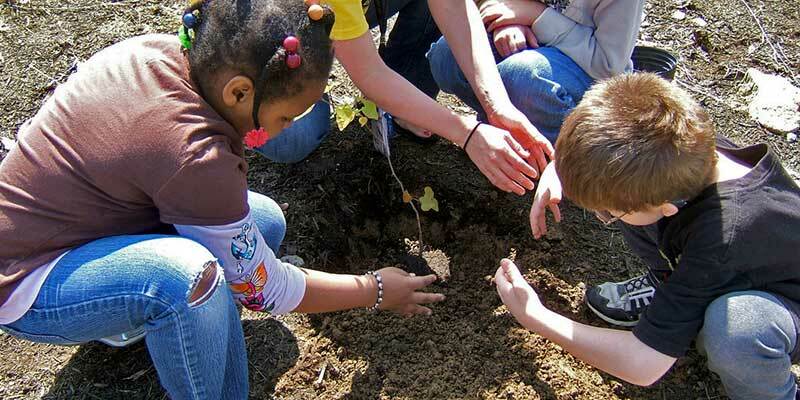 Partnering with local, state, and national organizations he and his staff have built on the state’s environmental literacy standards to provide their students and staff with expanded opportunities to learn in and about the outdoors and take actions as they develop their environmental stewardship. These efforts have resulted in Cedar Grove’s recognition as a Maryland Green School and National Green Ribbon School. Lee and his wife Shelley live in a recently empty nest in Damascus with their two dogs and enjoy travelling to beaches near and far. Ms. Gina C. Felter has spent the 41 years of her life learning about and caring for our local, natural environments here in Maryland. Following high school, Gina attended Virginia Tech to attain a Bachelor of Science in Wildlife Science/Pre-Veterinary Medicine and then attend Towson University to attain her Master of Arts in Teaching. 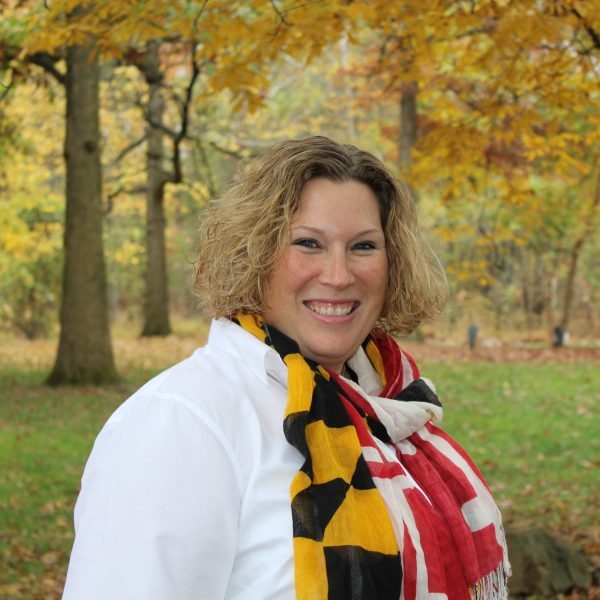 For the past 15 years, Gina has been an educator in Carroll County Public Schools working as a science teacher Sykesville Middle School, the Carroll County Outdoor School and Francis Scott Key High School. During these experiences, Gina also worked to attain her administrative certification from McDaniel College and now works as an Assistant Principal at Manchester Valley High School. For the past three years, she has provided unique professional development opportunities for her staff and was the advisor for the North Carroll H.S. Green Team, a club created by NC students to improve the local environment both in and around the school. North Carroll High School became both a MD Green School and a USDE Green Ribbon School under Ms. Felter’s direction. Throughout her life, Gina has strove to learn more about and then to positively change the local environment through the education of others using creative, hands-on, authentic environmental learning experiences. Kate Frase is the Program Director at River's Edge Forest Play based out of West River, MD. Kate provides nature immersion, unstructured outdoor play, and environmental & outdoor education experiences out of West River and on the eastern shore of Maryland for children ages 4-13 years old. Kate specializes in non-formal environmental education experiences for all ages and has been an Educator in the state of Maryland for over twelve years. Kate brings a wealth of project-based learning and curriculum development experience to River's Edge. Kate has significant experience in Chesapeake Bay ecology, wetlands, restoration, and habitat education. Kate is an accomplished presenter. She is a trained WOW! The Wonders of Wetlands, Project WILD, Growing Up Wild, Project WET, and Project Learning Tree Facilitator. Kate has a Bachelor’s Degree in Environmental Studies from Eckerd College in St. Petersburg, FL. She is also a Master certified Environmental Education Professional through the Maryland Association for Environmental and Outdoor Education (MAEOE). Kate is an Eastern Shore native, and currently resides in Easton, MD with her husband and two daughters. 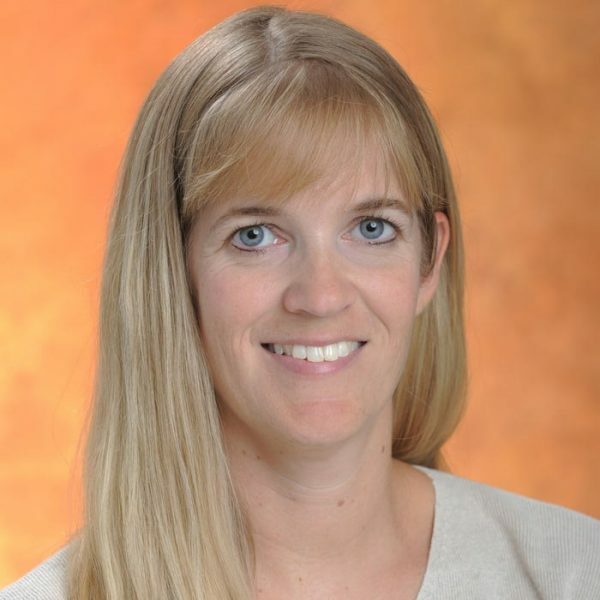 Sarah earned a bachelor’s degree in biology from Bucknell University, an M.S. and PhD in Zoology from the University of Georgia, and an M.A. in Education from Salisbury University. She taught middle school science at Pocomoke Middle School before moving across the bay to take a position at Towson University, where she has been been teaching for 18 years. Sarah’s interests lie in the areas of science education and environmental education. Her courses for preservice teachers all include outdoor components, and many include service learning. Sarah has built relationships with many local nonformal educational institutions, and she often teaches her classes off campus at these local organizations- she has had her students learning and leading programming at the Maryland Zoo, Irvine Nature Center, Oregon Ridge Nature Center, and the National Aquarium. Sarah’s involvement in science education initiatives and environmental education initiatives has led her to hold several positions of leadership at the national level, most notably with the Environmental Protection Agency’s National Environmental Education Advisory Council (NEEAC), to which she was recently appointed for a three-year term. 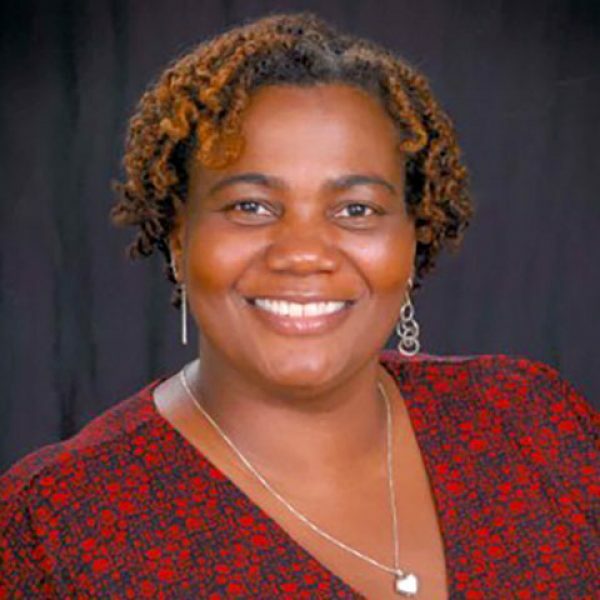 She is also involved in the National Science Teachers Association (NSTA) and the North American Association for Environmental Education (NAAEE). For many years, Sarah has served on NSTA’s Recommends Review panel, which critically reviews science trade books for K-12 students. Sarah has served on the advisory boards of two NSTA journals and is currently serving as a manuscript reviewer for two NSTA journals as well. She also has experience serving on the NSTA Pre-Service Teacher Preparation Committee and the College Science Teaching Committee. For the past 8 years, Sarah has served as the vice-chair of the NAAEE Accreditation Review Board. This board is responsible for reviewing EE Certification program applications from states wishing to become accredited. Each year, the review board also plans several EE Certification-themed sessions at the NAAEE conference, and I have presented at these sessions numerous times. Sarah was a founding member of MAEOE’s EE Certification Committee. Sarah is a lifelong Marylander, growing up sailing and exploring the Chesapeake Bay. These early experiences on the water have created a passion for the Bay and a desire to share this with children of all ages. Sarah has worked in the field of outdoor and environmental education for over 15 years. Sarah graduated from the University of Maryland with a Bachelor of Science in Natural Resource Management and Environmental Education. After graduation, Sarah worked at the Audubon Naturalist Society (ANS) in Chevy Chase, MD. There she started as a summer camp intern and progressed to the Children and Family Director. At the ANS, Sarah developed a robust afterschool and birthday party program. In 2012, Sarah moved to Eastport and started working at the Annapolis Maritime Museum, located on Back Creek. She now serves as the Education Director and hopes to inspire children to learn and protect the Chesapeake Bay. During her tenure with AMM, Sarah has grown the Education Department by over %180 establishing fee-based programs both during the school year and summer. In her role, Sarah also manages several local and national grants, establishes partnerships with local organizations, and serves on the board of the Back Creek Conservancy. While away from the museum you might spot Sarah with her husband Matt enjoying the local Eastport Community or sailing on their 49’ Kenner Skipjack. Katrina Jones is the outreach coordinator for the Maryland Port Administration's dredging program where she works to build diverse stakeholder engagement and maintain partnerships for enhancing the public's knowledge and support of the State of Maryland's dredged material management program (DMMP), with the purpose identifying potential dredged material disposal options and getting project approval. She also co-chairs the Baltimore Port Alliance's Education and Outreach Committee, which is a collaboration of public and private agencies in the maritime industry, educators, and representatives from government and civic organizations. Katrina coordinates directly with schools and organizations such Maryland Environmental Service, Living Classroom Foundation, Arlington Echo, and the National Aquarium in Baltimore to help facilitate meaningful field experiences at the Port facilities. She is a graduate of Valdosta State University, Valdosta, GA with a Bachelor of Fine Arts Degree in Communications. Visit http://www.mpasafepassage.org/outreach.html for tour information. Sean is currently an Outdoor Educator for Arlington Echo Outdoor Education Center where he runs the kindergarten and first grade Environmental Literacy programs. Sean is an Educator at heart. He has a thirst for learning, but loves teaching even more. It is Sean’s purpose to share the beauty and magic of the natural world with others. More importantly, however, he aims to educate people on preserving and respecting our planet. Sean graduated with his Bachelor’s degree in Outdoor Education and a Master’s degree in Education from Salisbury University. 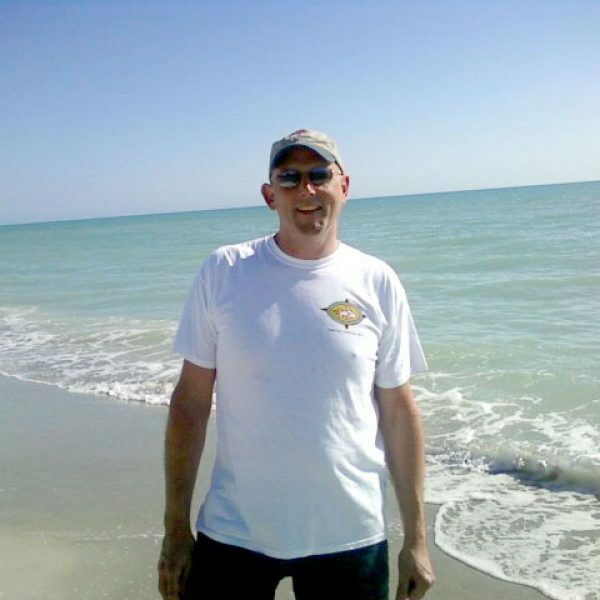 Sean became a Certified Environmental Educator in 2013. He has served as a mentor through Chesapeake Bay Trusts Chesapeake Conservation Corps program since 2014. Sean served on the Education Committee with the Friends of Jug Bay from 2011-2015 at Jug Bay Wetlands Sanctuary. For the past 7 years, Sean has worked closely with the Monarch butterfly. His passion for the species is demonstrated through his presentations on the topic. Sean also enjoys expressing his love for nature through his photographs. 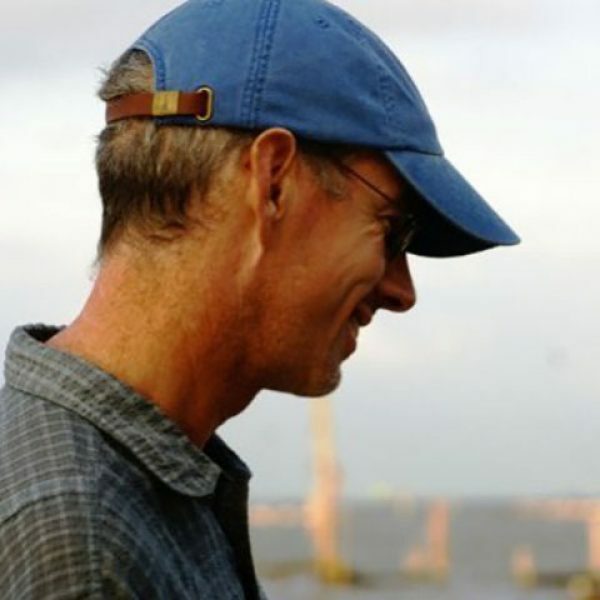 Bart Merrick has been an environmental educator for eighteen years (15 of which have been in Maryland), working with teachers and students from Massachusetts to Virginia, to promote environmental literacy and foster understanding, awareness and respect for the natural world. He developed an appreciation for the many opportunities to learn and explore offered by Maryland's diverse environments, especially the Chesapeake Bay, through his work with both Living Classrooms and Chesapeake Bay Foundation. Upon receiving a Masters in Environmental Science, Bart went to work for the Maryland Department of Natural Resources as the Education Coordinator for the Chesapeake Bay National Estuarine Research Reserve. In this position he began to grasp the breadth of scientific work occurring in the Bay and along with many others he began to incorporate more of this work into education programs. Currently, Bart Merrick is the Education Coordinator for NOAA Chesapeake Bay Office's Environmental Science Training Center focusing his energies on integrating the use of environmental science and technology with field-based learning experiences. Melanie combines her passion for the environment and love of teaching by serving as the Coordinator of Environmental Literacy and Outdoor Education for Anne Arundel County Public Schools in Maryland by developing and implementing environmental literacy curriculum and programming. The focus of these programs is to empower students of all ages through authentic hands-on outdoor experiences with the environmental knowledge, skills, and motivation to make and act upon responsible environmental decisions. She has been with Anne Arundel County over 20 years serving as an educator and teacher prior to becoming the administrator. Prior to AACPS she worked with nonprofits. She earned her Doctorate of Education at University of Maryland and she holds certificates in Administration and teaching. A member with MAEOE since 1996, Melanie has been involved with MAEOE in various capacities. Volunteering with the conference for many years handling registration and expanding to conference chair as well as serving on the Board of Trustees since the early 2000s. Melanie has served as President Elect, President and Past President. Dave Honchalk retired from Montgomery County Public Schools in 2007 and has been involved with outdoor and environmental education for more than 35 years. He holds a BS in elementary science from California University (PA), a master’s in outdoor education from Northern Illinois University, and certification in Administration and Supervision. While a graduate assistant at Northern, Dave had a unique opportunity to interact with many of the pioneers in the field of outdoor education. In fact, half of Dave’s professional career was spent as an outdoor education teacher at the Lathrop E. Smith Environmental Education Center in Montgomery County, MD. For eight years, Dave served as the supervisor of the outdoor education program, one of the largest in the state. Dave served on the Board of the Maryland Association for Environmental and Outdoor Education for nine years, where he served as executive Board member, president and conference chair. He firmly believes that creating environmentally literate students is one of the most important goals in education and will only increase in importance in the next decade. Elena is EE Specialist for NAAEE, where she works on EE Capacity initiatives, including building state capacity, Guidelines for Community Engagement, and Community Climate Change. Prior to coming to NAAEE, Elena was the Program Manager for National Geographic’s Chesapeake Bay FieldScope program and the co-lead staff for Maryland's Partnership for Children in Nature at Maryland DNR. With a B.S. in Natural Resource Management (Environmental Education concentration) from the University of Michigan, Elena has had the privilege of working with Dr. Bill Stapp, who has profoundly influenced her life and career. Additionally, she has a M.A. in Science Education from the University of Michigan and a M.S. in Environmental Science from Johns Hopkins University. Prior to working at National Geographic, Elena worked at the Maryland Department of Natural Resources, Johns Hopkins University, and the University of Michigan. In her spare time, Elena is training to be a teacher of hula. Background: 26 years with Carroll Co. Outdoor School (22 as a very happy teacher 4 as administrator). BS Towson State College; MS Northern Ill. – Outdoor Ed/Environmental studies; MS Western Maryland College – Ed. Administration. Certified wilderness education. Associate Director Maryland summer centers for gifted students. Environmental Studies. Federal and state licensed raptor rehabilitator. Married Patti, 2 sons, Forrest 15, Taylor 18. Hobbies hunting reading, Passion fly fishing. Educational Philosophy: "Education is not about life, Education is living"...John Dewey. Former MAEOE Executive Director. Carol received a BS in biology from Tulane University and a Master's of Arts in Teaching (Biology) from Tulane. She taught biology and general science in the New Orleans city schools. Later, Carol volunteered for the Marine Docent program at the University of New Hampshire where she fell in love with marshes, bays and anything estuarine. While developing the Java History Trail at the Smithsonian Environmental Research Center, she learned about the impacts of land use on water quality. Carol has worked for the Department of Natural Resources since 1994. 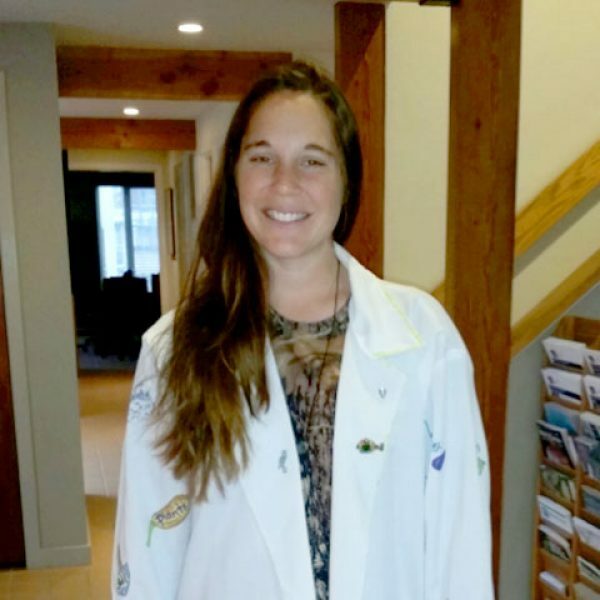 She served as the Director of Conservation Education and is currently the manager of the Chesapeake Bay National Estuarine Research Reserve in Maryland where she gets to combine her love of science with her interest in education. A Harford County native, employed by the Maryland Department of Natural Resources since 1987, Cindy is an Education Section Chief and the Project WET Coordinator for Maryland. Spending the summers of her youth in Avalon, NJ, her passion quickly became water and sand which led to a zeal for travel and collecting sand and sea glass from all over the world. All things water led her to her role in helping create Green Eggs and Sand, establishing the Hooked on Fishing clinic program in Maryland as well as work in Project WET (Water Education for Teachers) on a national level. Cindy has a B.S. in Environmental Science from Juniata College and a M.A. in Natural Resources Management/Outdoor Recreation from the University of Maryland. After joining the MAEOE Board in 1995 she has served on the MAEOE Executive Board as President (1999), Treasurer, and Member at Large, and has also served as the MAEOE conference chair or co-chair for many years. She has served as Council Member, Committee Member and Board Member for several national organizations including NAAEE, Association of Fish & Wildlife Agencies, Aquatic Resources Education Association and more. Cindy recently joined Towson University as Adjunct Faculty. She lives in Arnold, MD with her husband Lou (A former member of the MAEOE Board of Trustees). Bernie Samm hails from Baltimore and has lived in the Washington suburbs since graduating from the University of Maryland with a BS in Science Education in 1967. He holds a BS in Science Education for the U of M and an MA in Special Education from Trinity College. In 2000 he retired from his job as Supervisor of Outdoor Education for Montgomery County Public Schools. He continues to work part time for the school system. Maryland is his home and its environment is his passion. He helped found both the Montgomery County Outdoor Education Association in 1974 and MAEOE in 1985. He was MAEOE's first president and has served on its Board ever since. Bernie spends most of his free time at a little waterfront shack on the lower Eastern Shore of Maryland.